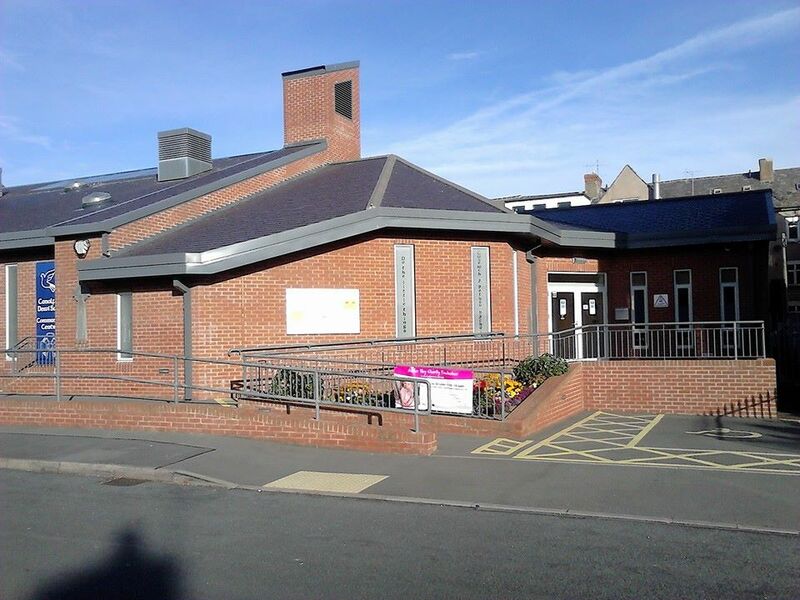 Canolfan Dewi Sant Centre is an innovative multi purpose community venue in Pensarn, Abergele, which comprises of a main function hall, committee room, bistro cafe and kitchen. St. David’s Church is also housed within this very modern complex. 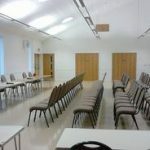 It is a wonderful community venue, perfect for group meetings, training events, one to one work, keep fit, birthday parties and so much more. 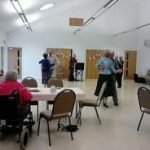 It is used by various groups and agencies to serve our community. St David’s Church was built in 1880 by the Vicar of Abergele, the Revd David Evans who came to Abergele in 1877. St David’s was built to cater to the needs of the English speaking residents and for visitors to the area. 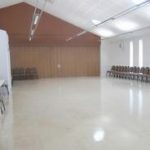 This was to be a temporary building and 13 years later he suggested to the Parochial Church Council that a fund should be started in order to build a permanent church as he didn’t think the temporary building would last much longer. It was to last 130 years! In 1976 it was decided to improve the interior of St David’s. The instigator of this was the assistant curate, the Revd Philip Williams. 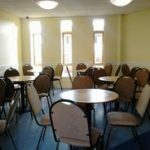 In January he called a meeting of all the congregation and put forward his ideas, asking for volunteers to undertake the work, for gifts of money and for items for the Church. By Easter all the work was complete. The woodwork in the sanctuary had been lightened by sanding and cleaning. The vestry was re-decorated and the pulpit, lectern, altar and prayer desk were renovated. A curtain was also hung at the back of the altar.